Do you have a child that still uses a booster seat? Whether because of age or because of height some kids need to use them longer because they are short and the seat belt doesn’t fit right. 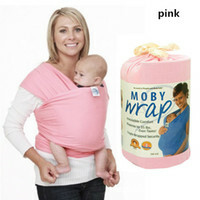 Now with the mifold your child will be safe and not feel like a little kid. My daughter is nine but she is short and the seat belt doesn’t sit right. Using a regular booster seat for her is something she doesn’t want so I was excited to give mifold a try. This compact and easy to use seat helps your child by bringing the seat belt down so that it fits across their body properly. The seat itself is so thin and comfortable they feel like they are just sitting on some extra cushioning. This post is a sponsored post, but all opinions, stories, and my experience are all personal and true (like always)! I love the fact that this folds up so you or your child can easily transport it from one vehicle to the next. No more moving around bulky seats and worrying about if you have enough room. Three of these can easily fit in a three seat area. Making it less crowded and easier to put seat belts on. I love that my daughter loves it and doesn’t mind using hers. In fact she said it makes the seat belt more comfortable for her to wear than not using anything at all. Now the seat belt stays where it is supposed to instead of to high and rubbing her neck. The mifold is super easy to store also since it folds right up makes for easy carrying also. This is designed for children 4-12 and really is a great product. I honestly love it because it is so sleek and easy to use yet keeps my daughter safe in the car by helping the seat belt fit her properly. This is great for anyone with young kids who need more than one booster also. Since they aren’t bulky they don’t take up as much room as a booster seat does which is nice. If you are looking for a safe alternative to your booster for your child then definitely check out mifold.